Stay tune I will be sharing details in the coming weeks on the activities below! You can follow along via your favorite social network :Twitter,Pinterest or Facebook and our readers preferred way via email. I just used a straw from a personal size milk box, matchbox and Ritz cracker packaging for the sail. I didn’t have tape so I made a small hole through the matchbox and stuck the straw through it. I cut a triangle from the crackers packaging and then 2 slits in the middle to run the straw through. 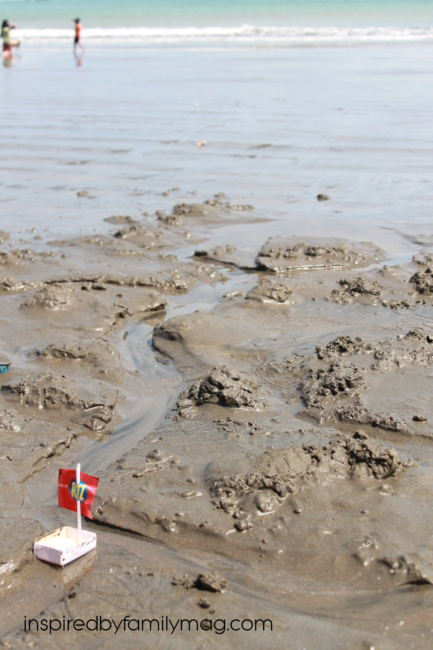 Then make a little “stream” in the sand for the boat to travel down and fill it with water. 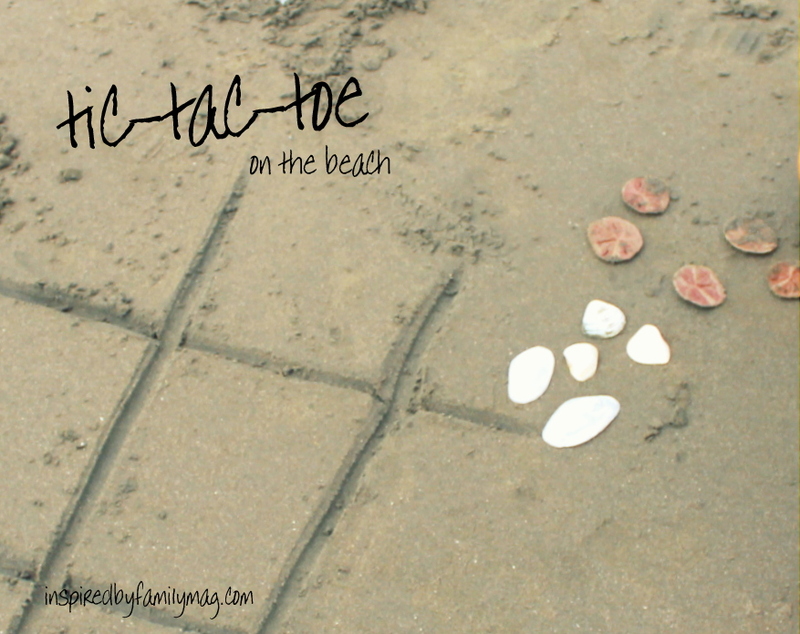 Add a fun beach twist to the game of tic-tac-toe and use shells and sand dollars. 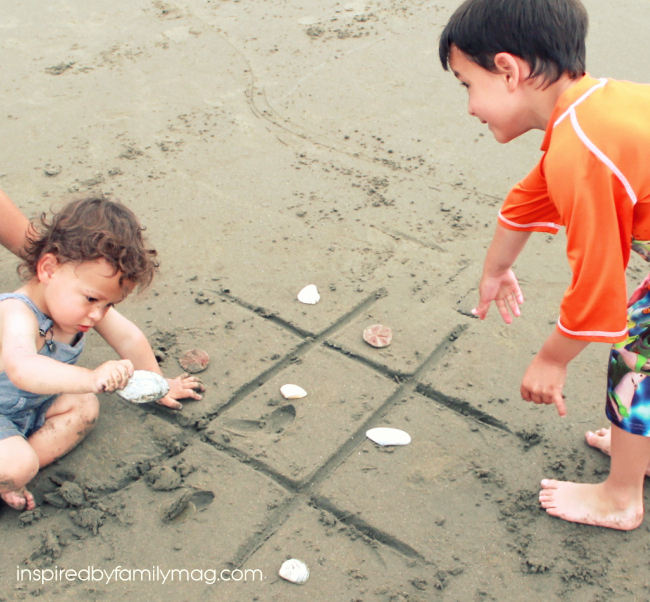 Just draw your board on the sand with a stick and enjoy! This is a longstanding tradition that my husband has with his family since they were little and even now as adults, they make forts when near a body of water. Why not grill on the beach? We did pack our little grate before we left home. There’s nothing like flying a kite at the beach. No electricity poles to worry about. 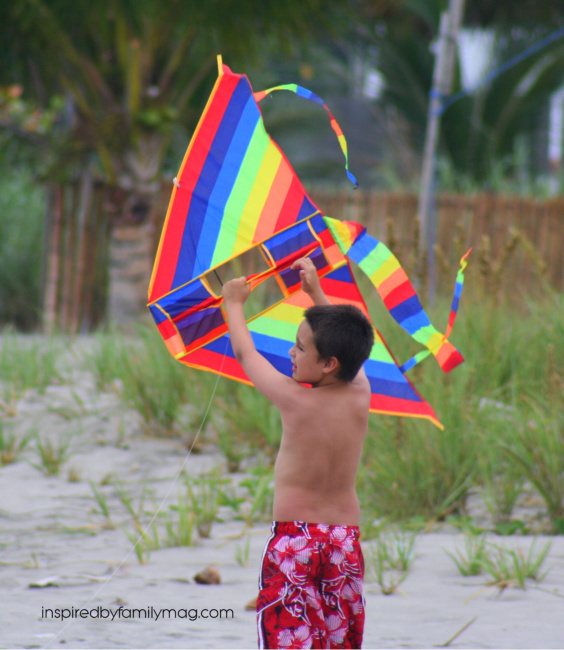 If you fall from trying to keep up with your kite you land on soft warm sand. 6. Smores! 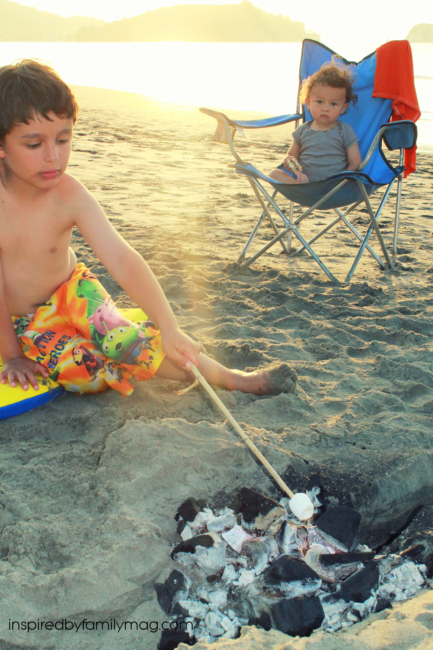 Before you let that fire go out from your dinner meal make sure you end your beach day with roasting marshmallows. 7. I Spy Ghost Crabs! 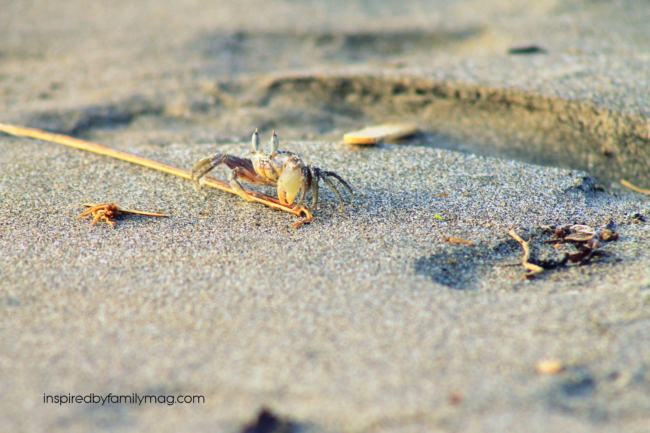 These little creatures scurry along the beach in the evenings so we take a flashlight and point towards the crab when we see one. 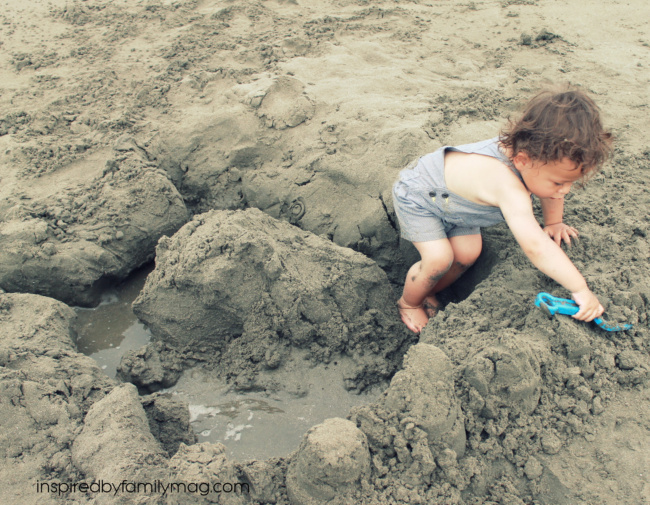 We changed the words to the popular song “Going on a bear hunt” to “Going on a crab hunt” the boys giggle and have fun. 8. Our boys like to take their Mr. Potato Head accessories and use it to build sand men or monsters. 10. 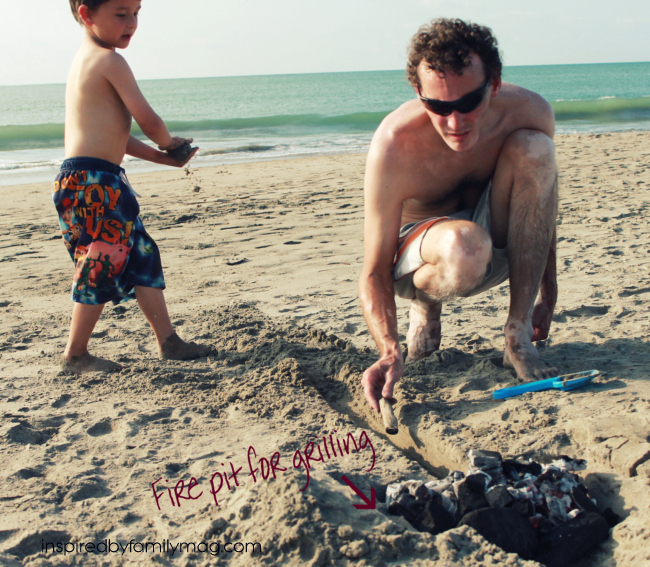 Beach Scavenger Hunt – You can find the scavenger hunt printable and details here! 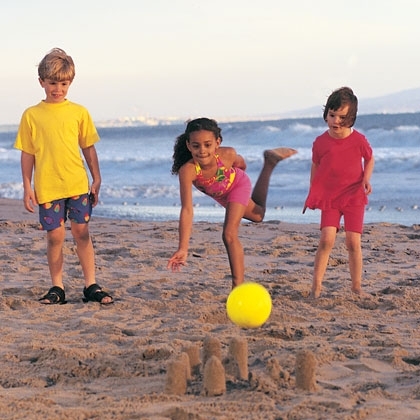 Have the kids collect items on the beach. This would also be a great way to get the kids doing community help and not even know it by “cleaning up” the beach. Put items like 10 bottles or soda cans, a bag full of trash, a piece of sea weed, 5 sea shells, a feather, etc… I will be sharing my scavenger hunt with you this coming week. Beach Bowling! I found this over at Spoonful. It’s played the same but at the beach! We love to keep our bocci ball set in our car because you never know when you will have a chance to play. This is all from our trips at Ecuador beaches! Here’s are 2 tips for those traveling in Ecuador: If you’re in Ecuador driving out of Quito to the beach you’re looking at a good 5 hours of winding roads. It’s a spectacular drive but it’s windy and you will need some meds if you get car sick. Believe me I know all about getting car sick. There are lots of beaches to choose from but the one that we like to go to that is fairly inexpensive and not packed with visitors is at the end of Atacames beach just before getting to Sua the small fishing village on the south end and past Sua you will arrive at quite the expensive little beach resort where Casa Blanca is located at Same beach. 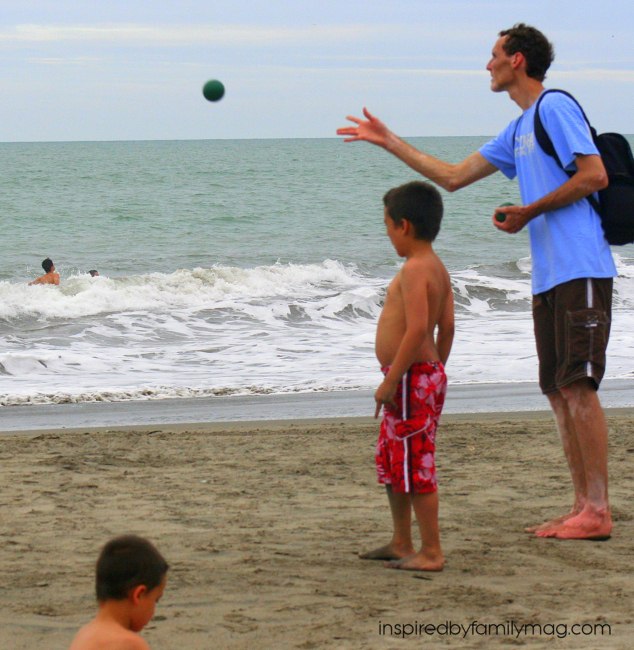 I will share an extensive list of tips for my readers who are traveling the Ecuador beaches with kids in the near future, so stay tune. Oh those are such creative ideas Mari!! Thanks for sharing your genius!! Those are all great ideas! 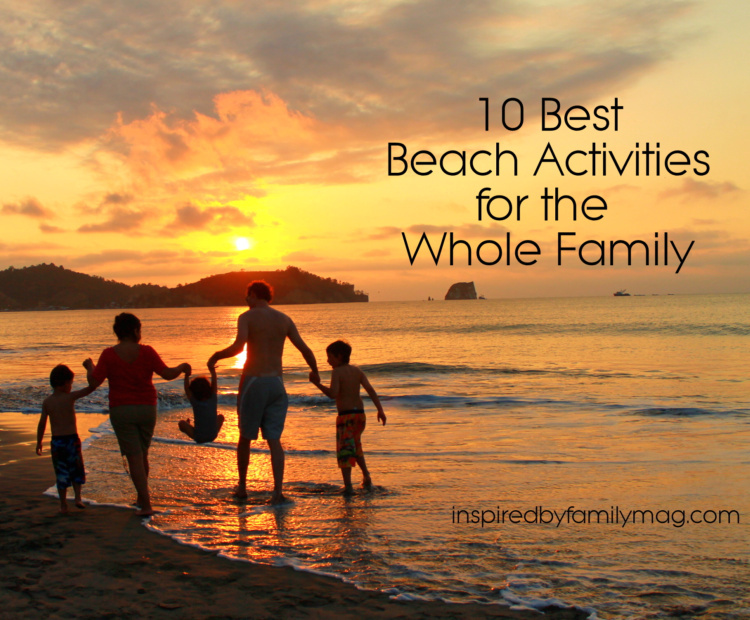 My family goes to the same beach on a small island in our area for 10 days every year. We camp on the beach for the whole time with my oldest and dearest friend and her family. It is heaven on earth to me. 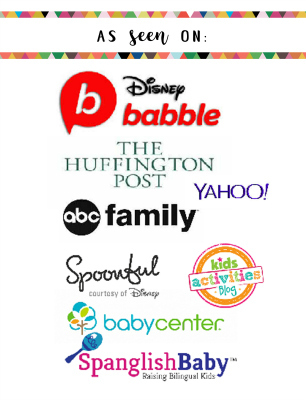 We have found some great activities to keep the kids happy the whole time too. I’m sure we will use some of the ones you suggested this year! Thanks! 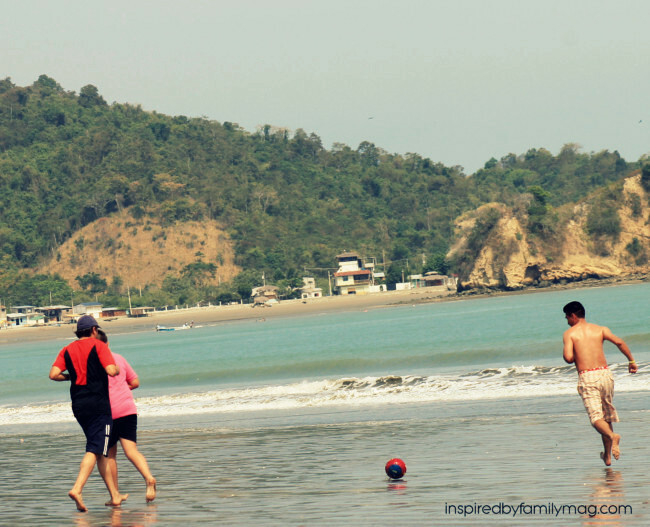 How fun camping on the beach! You should write a post about that. 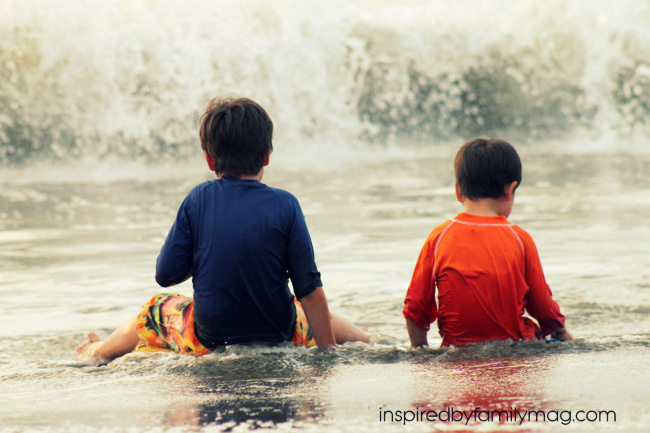 I’m hoping to get our crew to the beach next summer, although it’s about a 20 hour drive for us! I love your creative and cheap ideas! Thank you. Rachel, Thanks! Wow, 20 hours is a ways. We live in the mountains so it takes us 5 hours of windy roads and I can barely stand the trip. Thanks! Yea, I change to a lovely shade of DARK brown. 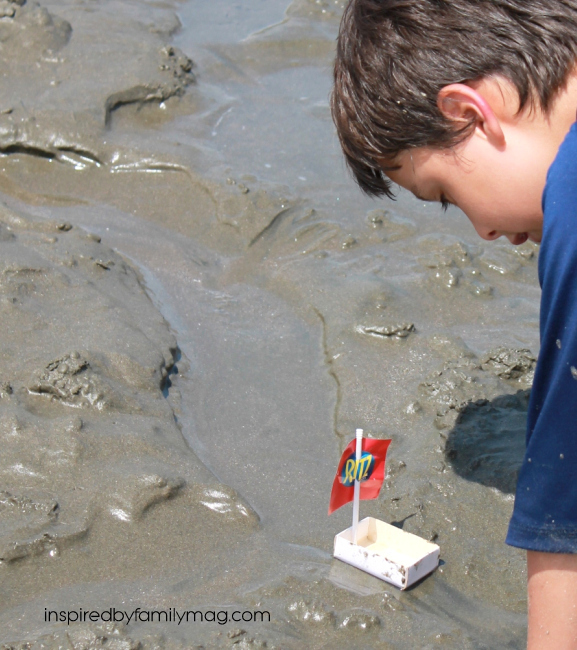 So excited to make a fire pit and matchbox boats! Thanks for the ideas! Sheila, Yes, those two were so fun. 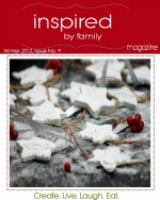 What wonderful and fun ideas! Thanks, I think my favorite was the smores on the beach.